I woke up this morning feeling adventerous. Yes, I decided to once again cook with Mung Beans. It may seem that I have become obsessed with these little guys, but they are amazing, and so versatile. Also, they are packed with protein and fiber! 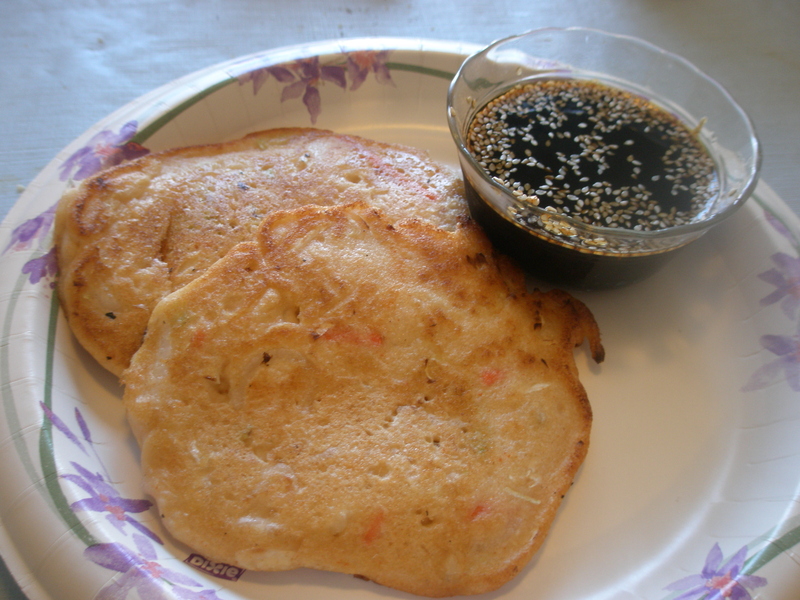 I made Korean Mung Bean Pancakes. I took shelled and halved mung beans, soaked them in water for a couple hours. Threw them into the blender with some water (and rice flour). Once I got a nice batter consistency, I mixed in some cole slaw mix, thinly sliced onions, chili powder, garlic and salt. 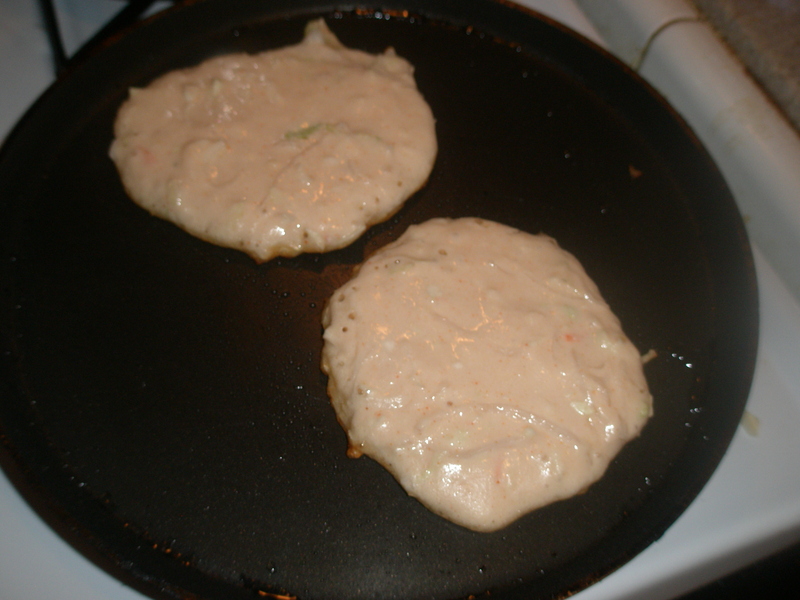 Then I put them on the griddle with some olive oil. Separately, I made a lovely dipping sauce out of vinegar, soy sauce and lightly toasted sesame seeds. The pancakes came out a little thicker than I thought they would, but delicious, fluffy yet firm, and full of lovely flavor!